BELIEVE SHEA BUTTER BODY CREAM 6.0 oz. Warm up with spicy cinnamon and seasonal cranberry. Heal & nourish the driest of skin with this spicy healing shea butter body cream. Our rich nourishing shea butter cream warms and soothes aching muscles while drenching your skin with amazing antioxidans & cell rejuvenating properties. This shea butter body cream is made with over 30% unrefined shea butter, cranberry seed oil, cranberry extract, warm cinnamon, allspice and frankincense essential oils, making this a Holiday must have! 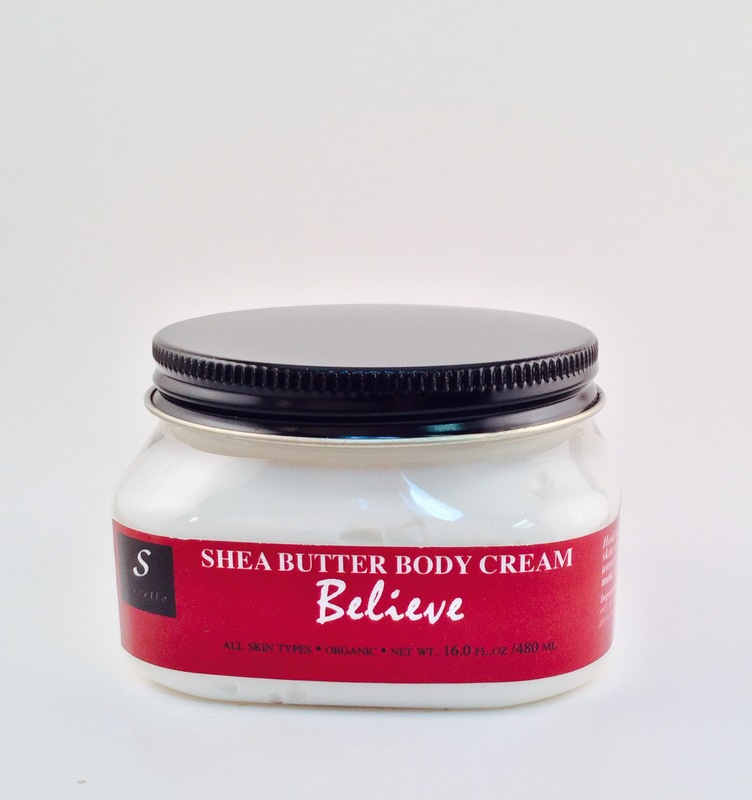 Be the first to review “Shea Butter Body Cream- Believe” Click here to cancel reply. What mask will you be wearing this month? Harnessing the powers of pure essential oils. No synthetic fragrances. No artificial colors. Paraben free. No GMO’s, fillers or binders. Vegan, gluten & eco - friendly. Receive a $10 Coupon when you share your email with us! Stay up-to-date on the newest servello products, specials, happenings, and events by subscribing to our newsletter below. Just enter your email address, hit the submit button, and become part of the servello family! And if your feeling extra social, we would love to see you on our Facebook, Twitter, and Instagram! Visit servello Aesthetics for treatments for the mind, body and soul. We harness the powers of aromatherapy and natural & organic ingredients to aid in detoxification, anti aging issues, and holistic relaxation.